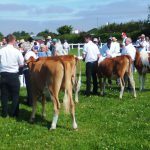 After the atrocious weather in 2012 ,the Stithians Show near Truro in Cornwall had a beautiful day for this years show and with 5 exhibitors a good turnout for Richard Emm to judge. 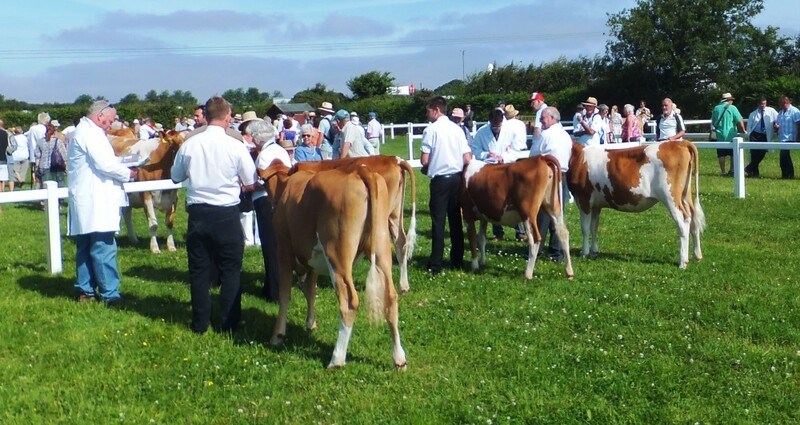 Class 1 for heifers born after 1/8/12 drew 5 calves with the Andante calf Trewey Jackie, of Brian and Sheila Adams standing top and beating her stablemate for only the second time this summer. 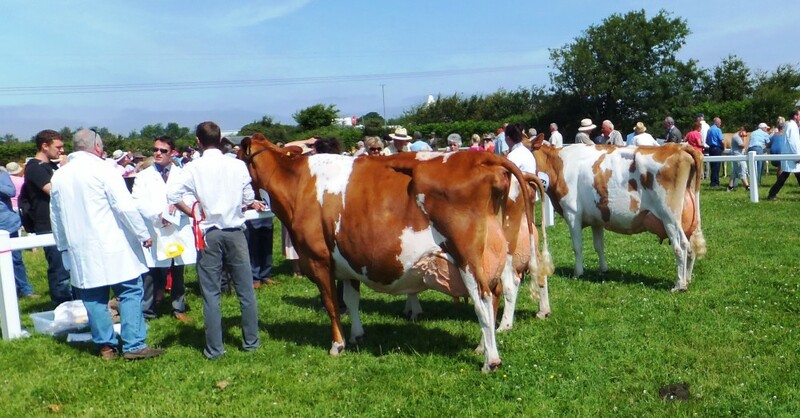 The bulling heifer class saw 3 of the original 5 return to the ring to be joined by a Double L heifer from Tredinney who stood first with Trewey Poppy 2nd and Trewey Jackie in 4th position with Ian Rowe’s heifer up to 3rd place. 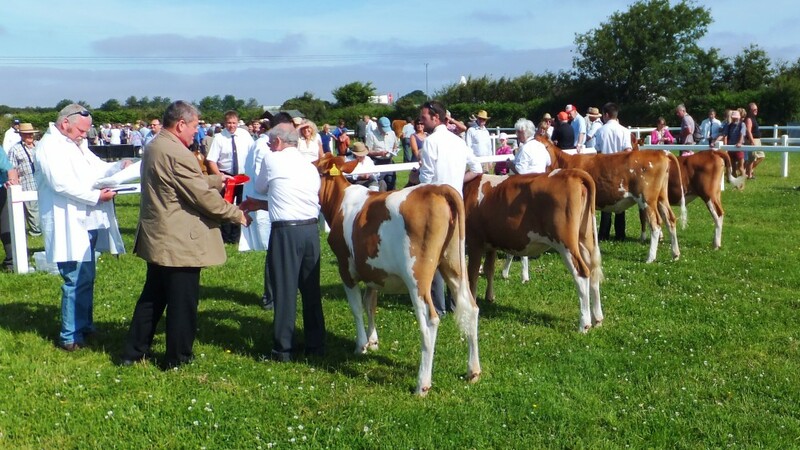 The In calf heifer saw the a re-engagement of most of the heifers that had been at the Royal Cornwall and once again the Addington Trusts Hamps Valley Annabelle 7 was placed first and Heifer Champion with the Tredinney heifer again second, Wiltown Claudia third and the Jelberts heifer in fourth place, The Jelbert’s had been first and second with their Jersey maiden heifers earlier. 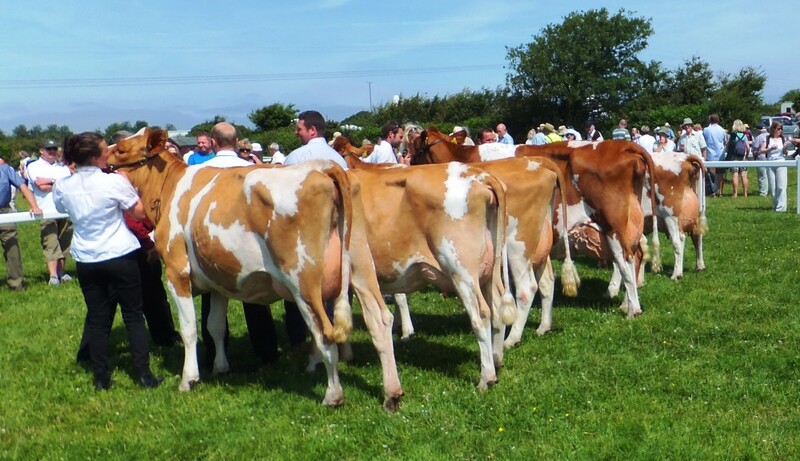 5th win of the season, have you bought your ticket yet? 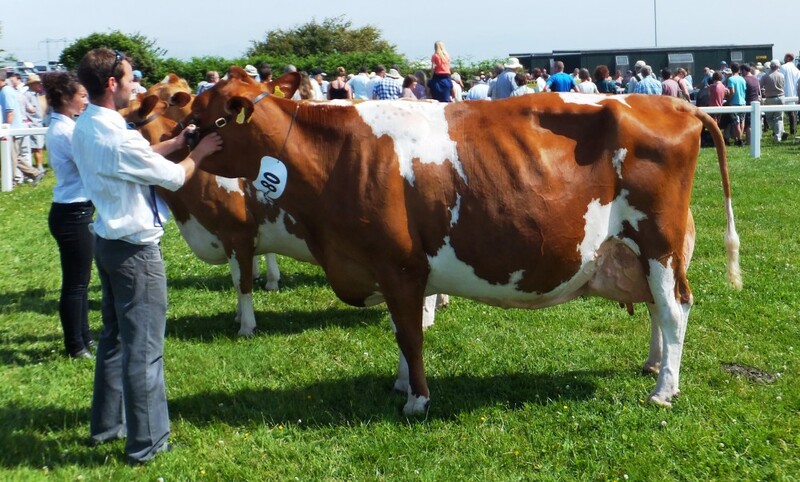 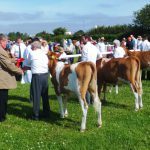 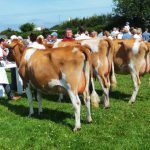 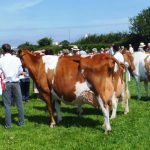 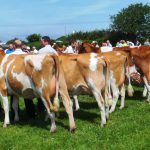 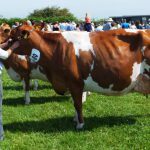 The in milk classes were all contested by Tredinney animals with 3 heifers in milk and the heifer that had stood third at the Royal Corwall, Tredinney Astronomers Tansy was this time placed first in front of an Andante heifer with another Astronomer in third. 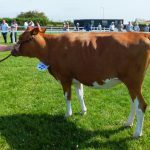 The three senior cows were again from Tredinney and the fabulous Gabrielle was placed First and Champion with her daughter by Yogis Prince in second place. 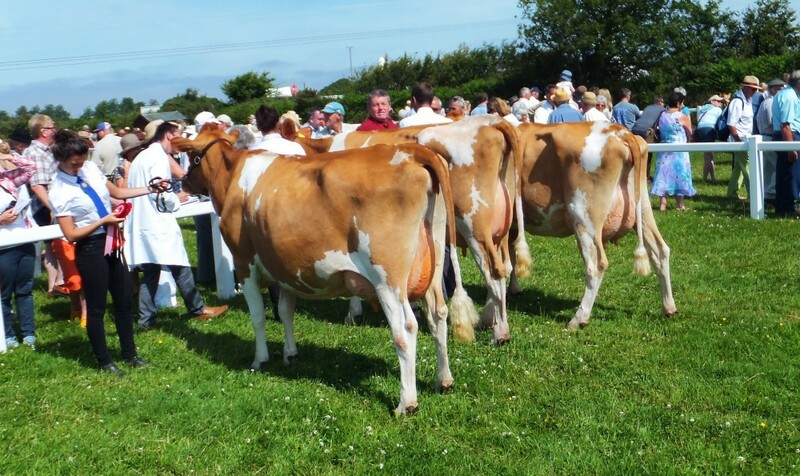 The two Astronomers won the pair and the three heifers were placed in front of the three Tredinney cows. 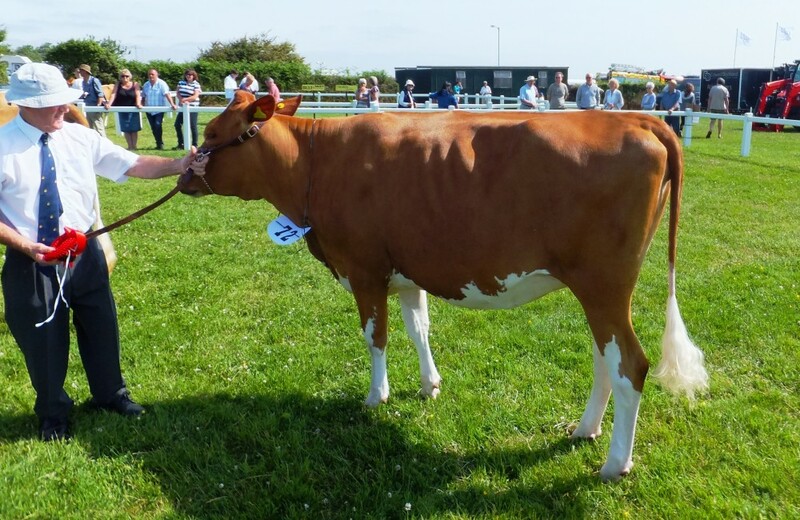 As I had reported earlier Gabrielle was voted unanimous Supreme and her picture has been seen by over 2000 viewers around the world this week.